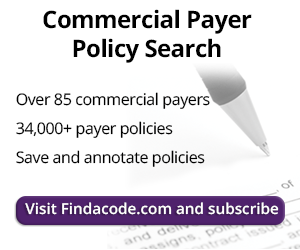 Every physician practice depends upon correct coding and billing for their financial success. Coding drives reimbursement. All of the resources available for coding information and guidance are meaningless without the practice manager translating it into provider-specific coding policies and compliance plan. As a practice manager, you need to develop a compliance plan and coding policies that reflect official coding guidelines and fills in the blanks with provider-specific interpretation of how the official guidelines should be applied by the coding/billing staff of the practice. The implementation of a comprehensive compliance plan with coding policies will provide consistency, accuracy and reliability of all your practice coding and billing, assure sound and ethical coding practices, and provide back up if your practice is questioned by insurance companies or Medicare. The guidelines should be developed and managed on an ongoing basis by the practice manager who, along with the physician should have the final say in finalizing the guidelines and ensuring they are updated on a regular basis. In addition to the practice manager, other individuals that should be involved in coding guideline development include both the coding staff and the medical staff. Input from the coding staff is particularly important in identifying areas where they may have questions and need to have clear-cut guidelines for reference when doing their jobs. Members of the medical staff should be identified as the individuals who will assist in clarifying clinical and documentation concerns. In addition they can serve as a resource in ensuring that all policies are clinically validated. Identify all coding issues addressed in National Correct Coding Initiative (NCCI) and reference them in the policies so that your staff knows that for a particular issue they need to abide by National Correct Coding Initiative guidance. Identify all coding issues not in the NCCI but addressed in other reliable resources. Incorporate these references into your guidelines where possible and applicable. Identify all issues not addressed clearly and comprehensively by any of the sources and develop practice specific guidelines for them relying to the extent possible on the resources you have. This process will be very time consuming, if performed correctly. But remember, that the benefits (in terms of correct billing and compliant coding practices) will definitely exceed inconvenience or expense that may be associated with guideline development. Clinically validate all organization-specific guidelines before implementation. Develop a functional Table of Contents as well as an alphabetical index for the policy manual. Alphabetical indices can be created using various computer publishing programs. Both the table of contents and the alpha index will make the manual more useful and functional for the user. Ethical Standards of Coding – your guidelines should reference your organization’s Standards of Conduct that apply to coding tasks specifically. Cardinal Rule for All Coding: a coder may not code a condition/diagnosis/procedure unless it is clearly documented by the physician. “If it isn’t Documented it wasn’t done." training is recommended for individuals in higher risk areas, like coding and billing." In addition to training on basic coding issues, every provider should use their coding policy manual as a basis for ongoing education and training of its coding staff. More importantly, the practice manager should keep records of the education sessions their staff attends and document the content of the meetings as well as who was in attendance. In addition, each coder should be required to take periodic quizzes on different sections of the policy manual. These records will serve as evidence that the coding staff understood and was familiar with the organization's coding manual. Once you have your policies in place, you can then develop a comprehensive compliance plan for your office.